Everyone asks us how to save tigers in the wild. Here’s the easiest answer: be a cautious consumer when it comes to purchasing Halloween and holiday candy. Really! It’s that simple. Palm oil can be found in about half of packaged food products, as well as in cosmetics, laundry detergents and more, but for the popularity of this particular ingredient, many people do not even know it exists. As a result of the expansion of this crop, around 300 football fields of rainforest are chopped down every hour to make way for palm plantations. This loss of forest not only translates into enormous greenhouse gas emissions, but also the devastating loss of local biodiversity. 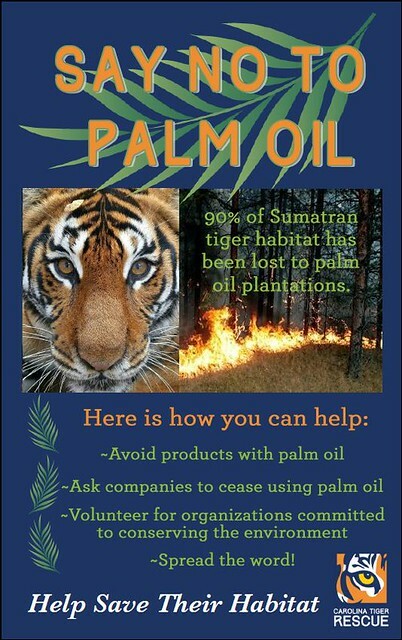 Palm oil development allows easy access for poachers into exposed habitats that have been cleared for plantations. 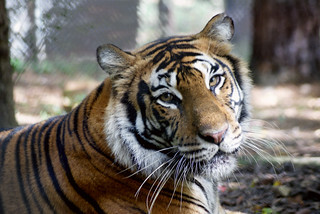 As the result, it is estimated that the Sumatran tiger population will be extinct in LESS than three years if nothing is done to protect their habitat or combat poachers. In the last twenty years, we’ve seen a 96% decline in wild tiger populations due to deforestation, habitat loss and poaching. To put that into perspective, there were 100,000 wild tigers in 1990, but today, there are just 3,800. Palm oil plantations are exploding and profits are high. But the cost of lives for orangutans and tigers are very high. 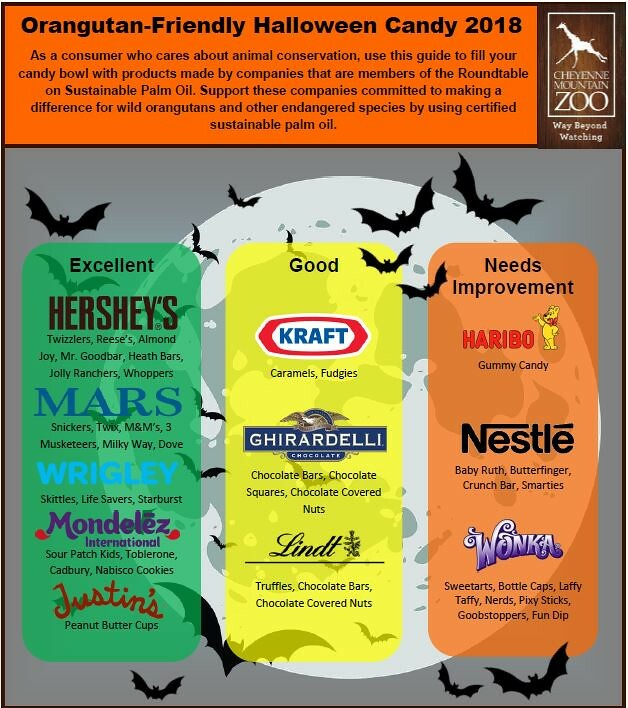 It’s surprisingly simple to chose palm-oil free Halloween candy with just minimal effort. These palm oil-free candies won’t destroy tiger habitats with new palm oil plantations.